Paula Margulies is the owner of Paula Margulies Communications, a public relations firm for authors and artists. She has received numerous awards for her short stories, essays, and novels, including her historical novel, Favorite Daughter, Part One, her debut novel, Coyote Heart, and her short story collection, Face Value: Collected Stories. 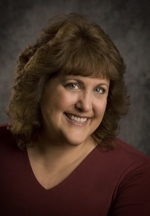 Paula is a contributor to a number of blogsites and writing websites, including Author Magazine and The Writer’s Edge. She has been awarded artist residencies at Caldera, Red Cinder Artist Colony, the Vermont Studio Center, and Centrum. Paula resides in San Diego, California. The characters always speak to me before I start writing a book. I hear their voices in my head, and when it gets to the point where I can’t ignore them any longer, I begin to write. I do a little outlining up front, but I always let the characters lead the way once I being writing. I hear my characters voices in my head – almost as if I were watching a movie. Read a lot of the genre you want to write. My first book was traditionally published, but my last two books have been self-published, so I guess you can call me a hybrid author. I think the field has become very crowded. But there is always room for good books out there!